This video has been a long time in the making. I’m pleased to say that it’s finally here! Follow me around for the day as I take you to the woods, my office, and the parking lot (haha!) and show you what I do on a daily basis. 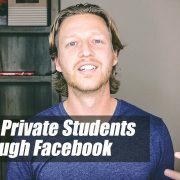 I also share my best tips that will help you get more private students into your lessons and courses. 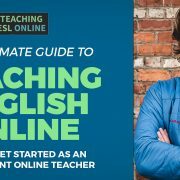 Free Mini-Course for Teaching Online: get an overview of what online teaching is like and how you can get started. Email marketing software: this is what I use and highly recommend it. 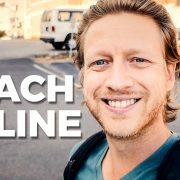 First online course numbers: learn how much I made from my first course. In the book, The Choose Yourself Guide to Wealth, James Altucher talks about the power of coming up with new ideas. I’m constantly thinking about new projects, ideas to generate sales, and ideas to make my life better. In my latest Facebook video, I went through 7 ideas that I’ve had recently. I also talked about how to execute an idea and whether you should act on an idea or not. 2. Create a secondary email series based on the answers given on a survey at the end of the first series. So, if someone tells me that they can’t afford the course, I could send another course and ask these people to share my content for access. 3. Create a subdomain (courses.mysite.com) where teachers can create courses. Learners take these courses and leave reviews. Some type of profit sharing agreement would be needed. 4. Give every learner who signs up to my course the opportunity to join the affiliate program. 5. Hire someone to take longer videos and create content (smaller videos, articles, pictures) from this. 7. Hire someone to create viral quizzes and pump them out! My two courses, TEOC and TFP are my two main income streams. I want to keep doubling down on these while spending 10-20% of my time growing other revenue streams. There are so many ways that I can improve what I already have. 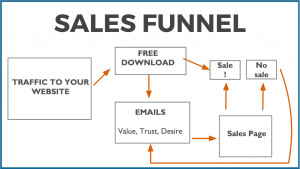 For example, I’m looking to double the amount of learners going through my email funnel. With all being equal, this will double sales. The viral quizzes, advertising, and my affiliate program will help with this. 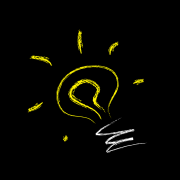 My question for you is this: what ideas have you had recently? Are you going to act on them? 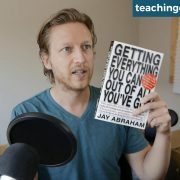 Online Teachers: What’s Stopping You from Earning More? One of my first posts talked about how starting your own teaching business gives you the potential to earn more. The reason is simple: you are in control of all aspects of your teaching business. You can set your own prices. You can teach more lessons. You can create online courses. However, many never earn what they set out to earn. Think about your priorities. Is this really important to you? Are you making it enough of a priority? If you’re not getting enough students, look at your conversion funnel, how you get the benefits of your lessons across, and what you’re doing to bring in more learners. If you’re hesitant about raising your prices, know that they can be flexible. If you’re against earning more because you think it will affect your work/life balance or your happiness, know that I have an amazing work/life balance, I’m happy, and I’m earning more. These things aren’t mutually exclusive. If you want to earn more, get started, enjoy the process, keep improving, and be grateful for what you have. Don’t just read these notes. Watch the video. I think you’ll get a lot out of it. And then, get my free training here. Or my premium training here. 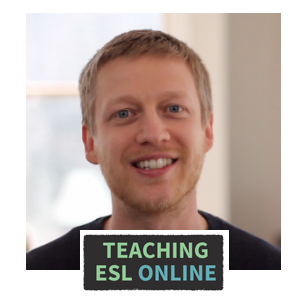 https://www.teachingeslonline.com/wp-content/uploads/2017/08/earn-more-online.jpg 720 1280 Jack https://www.teachingeslonline.com/wp-content/uploads/2015/09/TESLO-Logo-for-enfold.jpg Jack2017-08-01 17:56:022018-04-12 07:38:25Online Teachers: What's Stopping You from Earning More? Search engine optimization (SEO) is a way that we can attract learners into our lessons and courses. 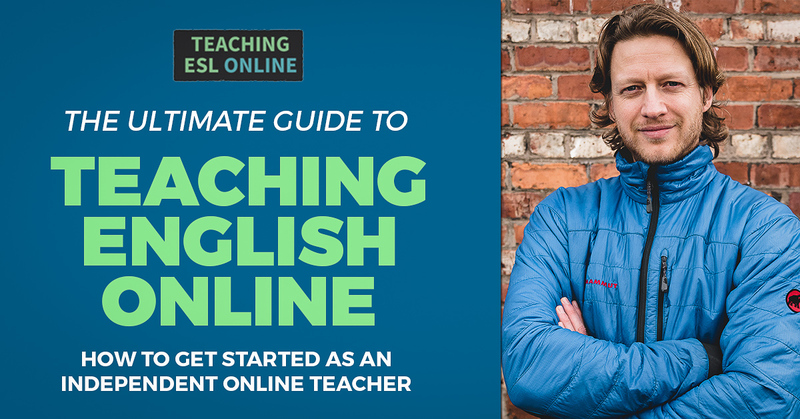 For example, if your website shows on the first page of Google for the search term online English teacher, then imagine the amount of people that will find you. This is organic traffic. Free traffic. However, to get your website featured on the first page of Google isn’t easy. It takes time. 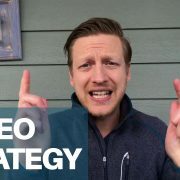 Luckily, I have a long-terms strategy that not only helps you boost your rankings in the search results, but it also brings in learners today. Without valuable articles/videos, your site isn’t going to rank in the search engines. Users will click onto the article, skim, and leave. Having content that people read gives a signal to Google that it’s worth featuring. Plus, a learner will want to know more about you if you help them. Once you have useful content, you need to promote it. By doing this, you will be attracting people to your site. That is our goal. Once they are on our site, get them to take action. This strategy is simple but it will take time to work. What we’re doing to get it to work is what we do anyway – helping people and promoting our stuff. The key is making sure that we get learners to do what we want them to do once they land on our site. This is where your landing page and email marketing strategy come in. Use the Google Keyword Tool to find out what people are searching for. Long-tail keywords (long phrases) are easier to rank for. 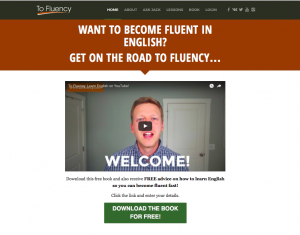 Keep in mind the following: buying (English lessons on Skype) and browsing (Present Perfect Rules) keywords. It’s easier to convert learners who are actively looking for what we offer. If you use WordPress, I highly recommend this plugin. Their free training is useful and it makes everything much easier. To help your rankings, you should include your keywords in the article and headline. However, don’t force this. Write with the reader in mind. Traffic is worthless if people don’t take action. Include a call-to-action at the end of every article/video. This will help you get this right. When you write a post, link to other articles you write. Update older posts with newer links. Link to other sites too. Have you had success with SEO? What tips do you have? Please leave any questions you have below. 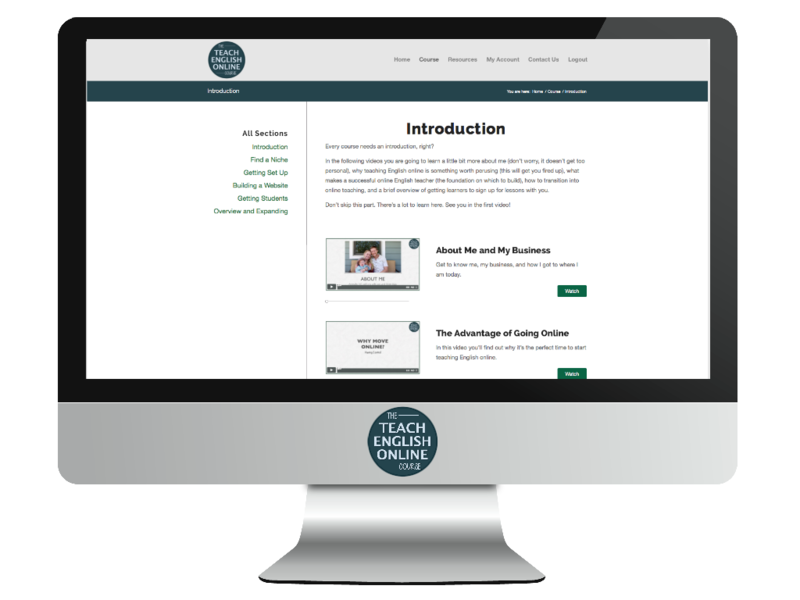 In 2013, I wrote various posts on how we can market ourselves as online teachers and sell our lessons and courses. Nearly four years later, some things have changed. 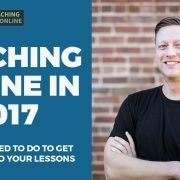 That’s why I have made this video and written the article below going through what you need to know about online teaching in 2017. Watch the video / read on to stay ahead of the game. I’m still big on email marketing. Because it’s the number one way that we can communicate with our audience. And like I said in this post, this is something we own. Social media platforms come and go. Email stays with us. And later on, you’ll learn how to combine the two. 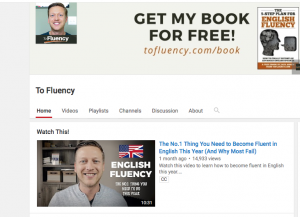 When I first started, it was tough to find materials for my online lessons. A lot has changed since then. The biggest indicator of this Off2Class. This platform has ready-made lessons that are tailor made for the online world. With a few simple searches, you will find a whole range of materials and lessons plans that you can use. This focuses more on my outlook of a teaching niche. For example, you can offer general conversation lessons. But you can deliver this in your own unique way. Or you can offer these to specific learners. What’s more, I highly recommend being open to the evolution of your niche. Things change as you start teaching. You realize what works, what you enjoy, and which type of learners you prefer working with. If you’re stuck at the niche stage, don’t let it stop you from teaching. Get started and work it out as you go. 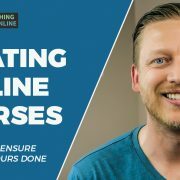 A few years back, it was difficult and, potentially expensive, to create and sell an online course. These days, there are all-in-one solutions that makes it much easier to do. That is why you see more teachers creating on-demand video courses and programs. This has allowed teachers, including myself, to scale and reach more learners. Learn more about how to do this here. This was when Facebook opened this feature to everyone. YouTube have been doing live video for a while, but they really started to push this in 2016 too. Learners love live lessons. Teachers, on the whole, love them too. They are raw, can be done a phone, and the interaction brings more to the lessons. I predict that live video will consolidate in 2017 and that YouTube will push live mobile video. 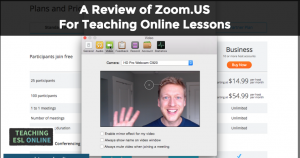 Back in 2011 – the year I started teaching online – business still saw social media as a fad. They weren’t ready to use their marketing budget on platforms such as Facebook. In 2017, it’s fairly clear that social media is here to stay. Platforms will come and go, but the idea of connecting with our audience on these sites will play a large role in our marketing efforts. Like I said in the video, it’s wise to use each platform natively. In the past, everyone just pasted links that pointed back to their website. That doesn’t work like it used to. Now, we have to create specific content for each platform. Some people will feel overwhelmed by this, however, go all in on one or two platforms at the beginning. You don’t have to be everywhere. Create useful mini-lessons with a call-to-action, preferably, sending people to join your email list. Advertising in 2011 meant Google Adwords. In 2017, Facebook advertising is the most cost-effective way of growing your audience. This means that you’ll need to have an offer that people want, get their attention through your ad (image and text), convince them to click your link, convince them to take action on your landing page, and create a follow-up process that converts learners into paying students. Don’t just throw something up and then, if it doesn’t work, give up. 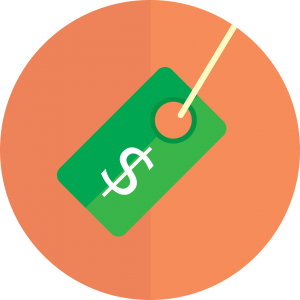 Start with a small budget and keep making changes to increase your conversions. Google Ads still work. Again, you need to get this right to make it cost effective. Things are so much easier now. We can record a video on our phone. 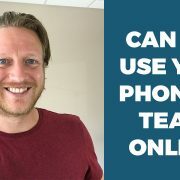 We can connect with learners through social media (for free!). We can easily create online courses. 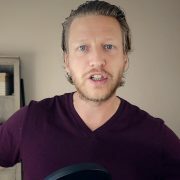 We can set up an email list without getting confused (the software I use). And we have much better software that we can use to teach our lessons. If you’re someone who tells yourself that you’re not good with technology, know that it is much easier to use these days AND you will get used to it. … but the principles behind the process of bringing learners into our lessons hasn’t changed. Set up a system, build awareness, and keep improving as a marketer and a teacher. A good place to start is by getting my guide: click here to do that. If you want to jump right in, join our course and community.